People are usually aware that Lyme Disease is something that can take down their dog related to one of the nastiest of Parasites – TICKS. Tick paralysis can be a common result. 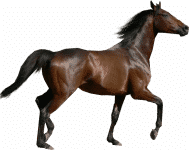 However, there are other serious Ailments that can be transmitted by the bite of an infected Tick, such as Rocky Mountain spotted fever, or even ehrlichiosis or anaplasmosis. So, the idea of just casually removing a discovered Tick should be discarded by concern over the possibilities. We would recommend an immediate visit to your vet – to be sure. 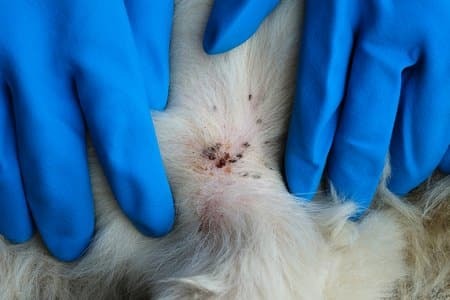 Moreover, a Tick may carry more than one of the mentioned infection types – further complicating the risk for your animal. Early symptoms may be non-existent, or barely discernible (vague, at best). However, you don’t want to wait until it’s too late to get things checked out; and, these issues can be VERY difficult to resolve. It’s mostly up to immune function. Fortunately, there are several NZYMES® products that can provide significant assistance to both strengthen and assist the immune system with such troubling challenges. Since this is likely to be a long and serious struggle, where symptoms may be as severe as ‘partial paralysis’, we suggest that you take a full-on approach at this time. Using all 3 products recommended here may be your best bet for helping your canine friend recover. 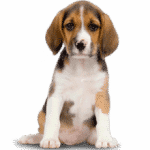 The is NOT to say that you should overlook getting whatever help you can from your local vet. In recent years, NZYMES® has established a relationship with an independent health consultant (Brenda Johnson), in Canada, who is not only leveraging the power of the NZYMES® products but has made amazing strides related to undoing the effects of a tick bite and Lyme disease symptoms. This includes her OWN Lyme problems, as well as that of at least one horse AND a very special dog that she rescued, BOHDI. This Border Collie was supposed to “just pass over the bridge” in her home, but with the right help – made a comeback and is amazingly healthy instead of DEAD. Learn more about Brenda HERE (Dateline April 1), then take some time to examine the FULL STORY OF BOHDI. Alternatively, review her Video Interview on this subject HERE. Finally, for the best support related to this challenging health issue, we recommend 3 NZYMES® products found in our 3-Pak Kits: either the Antioxidant Treats OR the Sprouted Granules, a bottle of our Ox-E-Drops (for immune assistance) and a jar of Bac~Pak Plus to help restore, repair and protect beneficial Bacteria proliferation within the gut and the integrity of immune function. These products are made available as a set of KITS for ease of ‘single-click’ check-out. A picture of the 3-Pak Mini Kit is below. Click the ORDER button to choose and purchase the kit that best suits your needs.